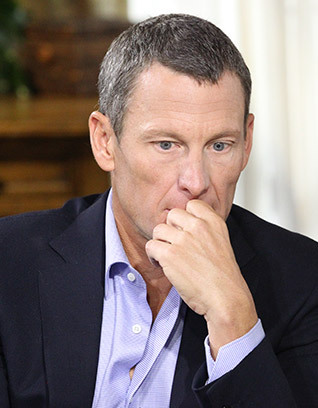 Is there any hope for Lance Armstrong? I, along with millions of others have followed Lance Armstrong’s career quite closely through his books, video footage and media reports. I have always admired his focus, ‘fightin’ spirit, dogged determination and commitment to hard work. His contribution both on and off the road has been remarkable. His brand has become iconic. His results, unbelievable. In short I was and still am a huge fan. I have also been watching closely the events of recent months and days, particularly his candid interview with Oprah. As I watched, I sat there devastated for him, his family, his brand and his cause. I don’t personally feel let down as much as I feel for what he and many people close to him are going through right now. Like his cancer diagnosis, I guess it could feel like you are passing through the valley of the shadow of death. We live in a world that is very harsh and schizophrenic. One minute they worship you like a ‘god’ and the next minute they want to stone you to death. As quickly as the world embraces a winner, they even more quickly outcast a ‘liar’ found out. Yet, in the midst of the chaos that surrounds Lance, his family and his career, there are a few things to keep in mind. Firstly, “He who is without sin, cast the first stone” (Jn 8:7). If you’re reading this and feel justified in your anger towards Lance, your missing a fundamental point. While you are pointing your finger of judgement at Lance, you’ve got several fingers pointing right back at you. Romans 3:23-24 says, “For, all have sinned and fallen short of the glory of God and are justified by his grace as a gift, through the redemption that is in Christ Jesus.” Everyone of us is broken and every one of us needs to repent of something. Apart from Jesus, the brokenness of the human condition is without hope. But because of Jesus and the cross, Lance Armstrong and everyone else on the planet can live with hope in the love and grace that is available to us through a relationship with God. The difference between Lance and you is that you don’t have your selfishness, brokenness and lies broadcast over every single network across the world in one of the greatest media frenzies the modern world has ever seen. Truth is, one day we will all see what dark sins have been boxed up and hidden away in our own lives. Jesus said in Matthew 10:26 ‘For nothing is covered that will not be revealed, or hidden that will not be known’. There’s coming a day for all of us where if we don’t repent, what’s been done in secret will be shouted from the rooftops. Be sure your sins will find you out. Be gracious with your comments of fallen heroes because each one of us needs to swallow a dose of humility when we consider our own shortcomings. From God’s perspective, the most important issue in Lance’s life isn’t the money, winning, brand management or helping people through ‘Livestrong’ (as great as this is) but the condition of his own soul. God loves Lance and from the very beginning has been trying to get his attention regarding his relationship with him. His ex-wife Kristen, a supposedly devout believer has been one of the greatest blessings God has given to Lance and continues to seemingly provide great emotional and spiritual support. Towards the end of the interview, Lance commented that his ex-wife Kristen would say, ‘The truth shall set you free’ quoting a part of Jesus Christ’s famous words from John 8:32. When asked by Oprah at the end of the interview, ‘What is the moral of this story?’ Lance responded with an answer that is still in the process of forming but Oprah responded with her own ‘moral of the story’, ‘The truth shall set you free’. To be honest I don’t think Oprah really understood the weight of even what she was saying. It isn’t just about being honest with Lance’s past actions of cheating that is the great moral of the story. The moral of the story is that only knowing the truth found in the person of Jesus Christ can truly set Lance and every one of us free from the brokenness of our own lives that drive us to behave and act in ways that are destructive to ourselves and others. No matter how talented you are, what dreams you have or how successful you are in your career, nothing will bring freedom or fulfilment like believing in Jesus and walking with him on a daily basis. Jesus said, ‘I am the way, the truth and the life. No man shall come to the Father except through me.’ Eternal life and present purpose are connected and intersect most poignantly in a personal and living faith in Jesus Christ. Apart from Jesus, no true freedom can be found! 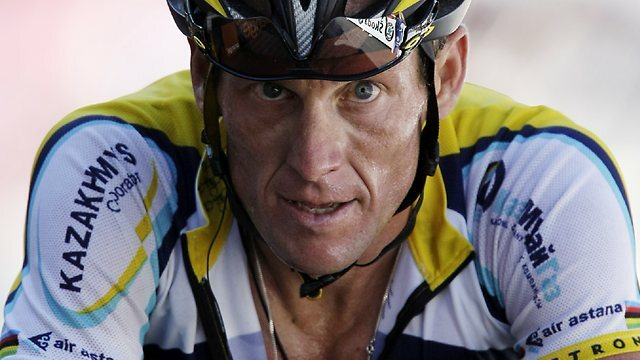 Is there hope for Lance Armstrong? You better believe there is. In fact, could it be that he is about to enter into the greatest and most significant chapter of his life, far greater than 7 Tour De France Victories. Why? Because with Jesus Christ there is always hope!